Summer at last! You can spend all day at the beach or in the park enjoying the nice weather. 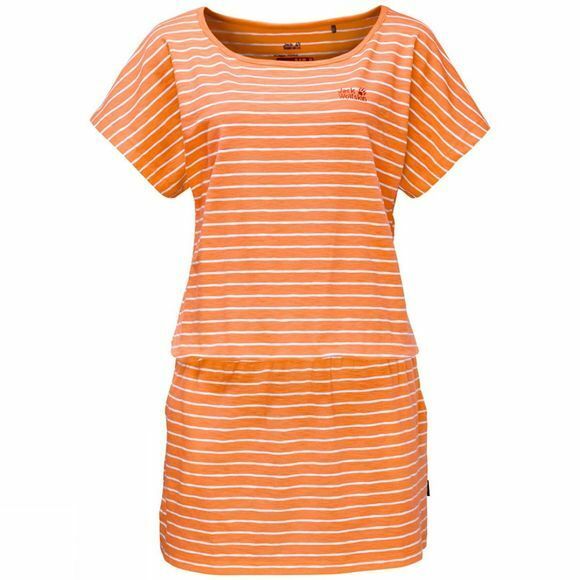 The airy, loose fitting Travel Striped Dress from Jack Wolfskin makes your summer day a little more carefree. Team it with leggings, and you have The perfect outfit for the plane or train. The fabric feels wonderfully soft and if you should happen to get caught in a summer thunderstorm it's dry again in no time. It also benefits from a special anti–odour treatment to keep you feeling fresh and summery.